I know technically it is still winter, but my mind goes right to summer after new years. 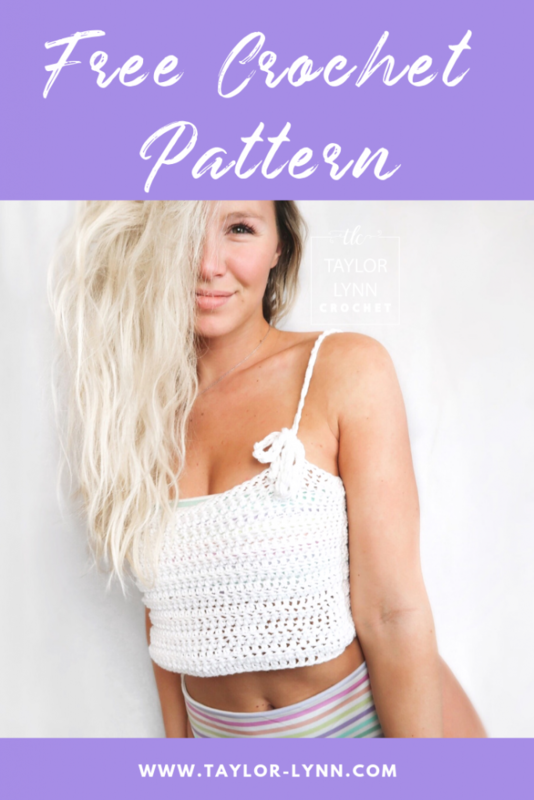 Plus when I start early with summer patterns that means that you guys will have plenty of time to get them done for when it finally warms up! For example this Summer Solstice Tank is done and ready to go! Any of you who have been following along for the last two years know that I go to the faster horses music festival that happens here in Michigan. Its a huge 3 day country music festival, and it is so much fun. One of my favorite things to do is make 1-2 new tops designed just for this event. This Summer Solstice Tank is the first one I made for this festival in 2019, and I’m already excited to make it in 3 different colors. If you would like the Ad Free PDF of this Pattern, you can find it on my Etsy Shop for $3.00. Yarn: 1 skein of “I love this Cotton” from hobby lobby – any weight 4 (worsted weight) cotton should work. Yarn Needle: to weave in ends. 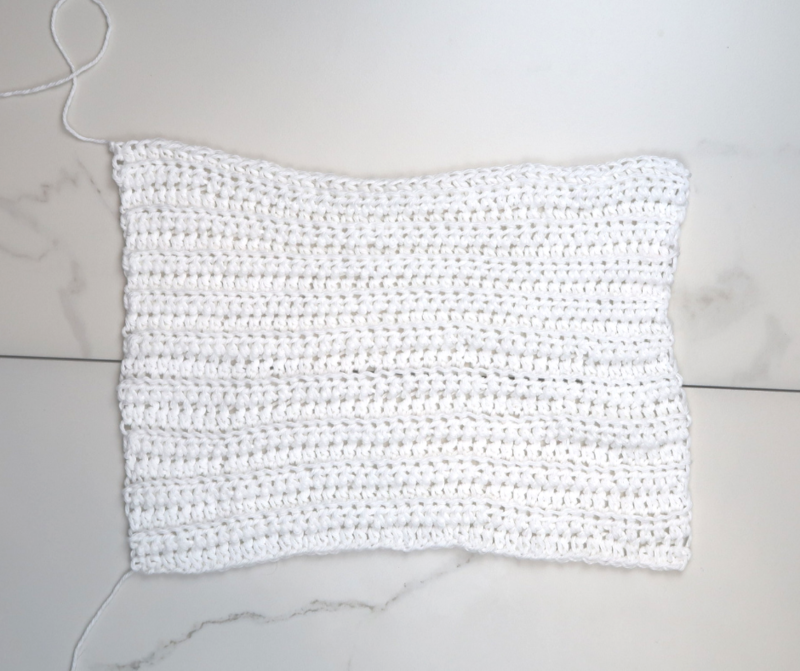 Half Double Crochet Back Loop Only (HDCblo) – YO and insert hook into the back loop of the next stitch and pull up a loop. YO and pull through all loops on hook. 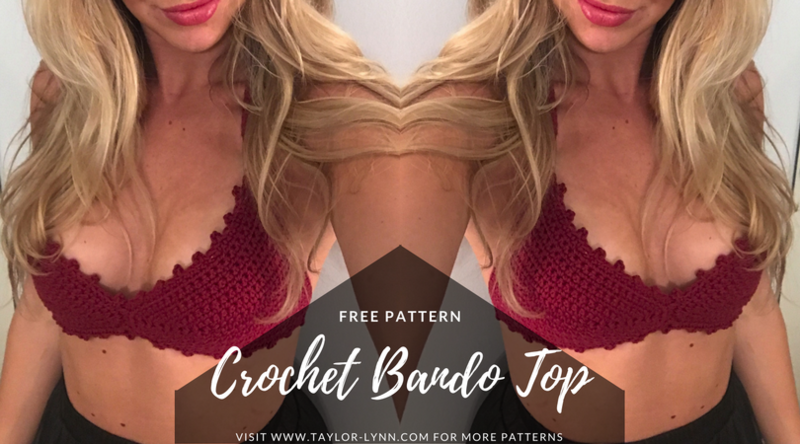 If you like this top pattern, then you will love my Crochet Bando Top pattern too! This one has a video tutorial as well. Happy Making! 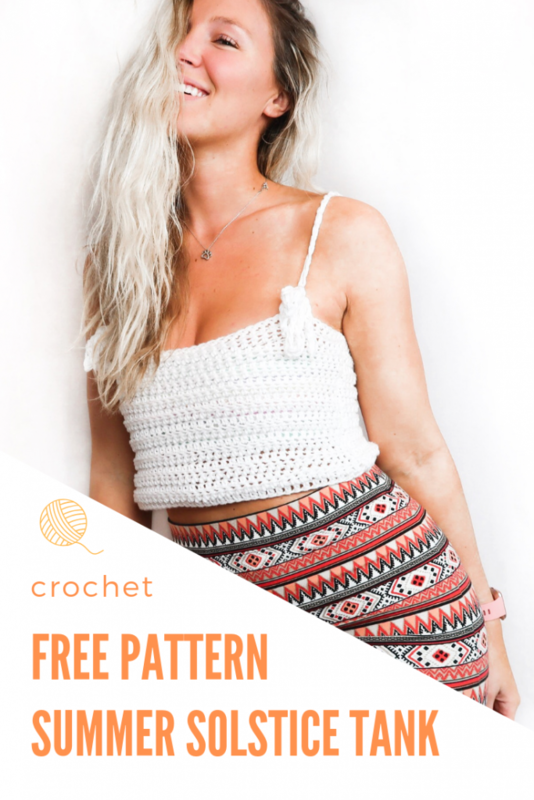 This summer crochet tank can be altered to fit any size and body type. I will tell you in what areas you will want to adjust it to make it larger or smaller. I made mine in a Medium size. For reference I am a size ten pants and size 8 top in general. 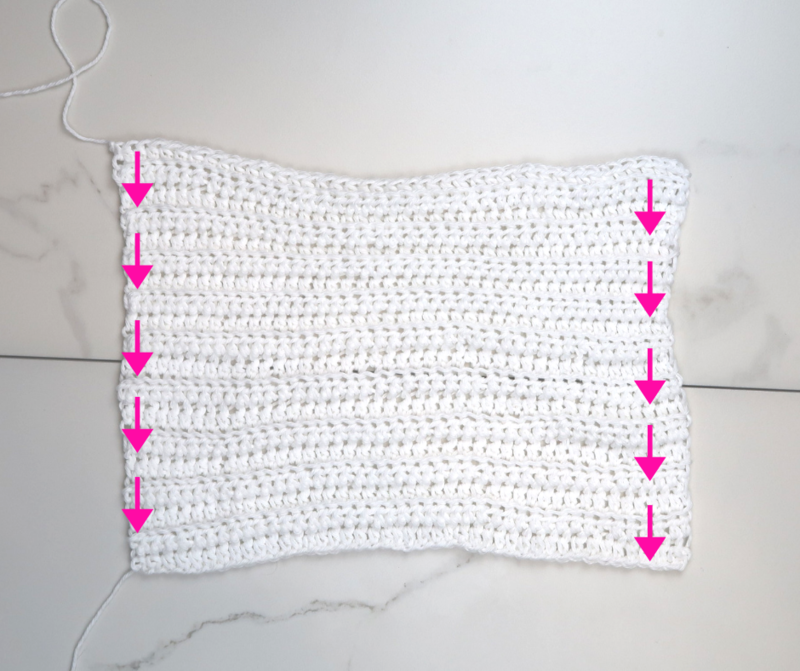 If you would like to increase/decrease the Width to make it fit to your preference, the gauge is 11 HDC stitches per 4”. Adding/deducting 3 stitches will increase your width by approx. 1 inch. To alter the length of the top, adding/deducting 5 rows will increase/decrease the length by 2″. PATTERN WRITTEN IN SIZE MEDIUM. All other sizes written within ( XS, S, L, XL). Row 2-19 (L 21, XL 23): HDCblo in each stitch across. At the end of the row CH 2 and turn. Row 2-19 (L 21, XL 23) : HDCblo in each stitch across. At the end of the row CH 2 and turn. Now lay your front panel on top of your back panel. Using your 3.75mm hook (if you don’t have a smaller hook, you 5mm will also work) SS both edges together. Refer to photo below for clarity. 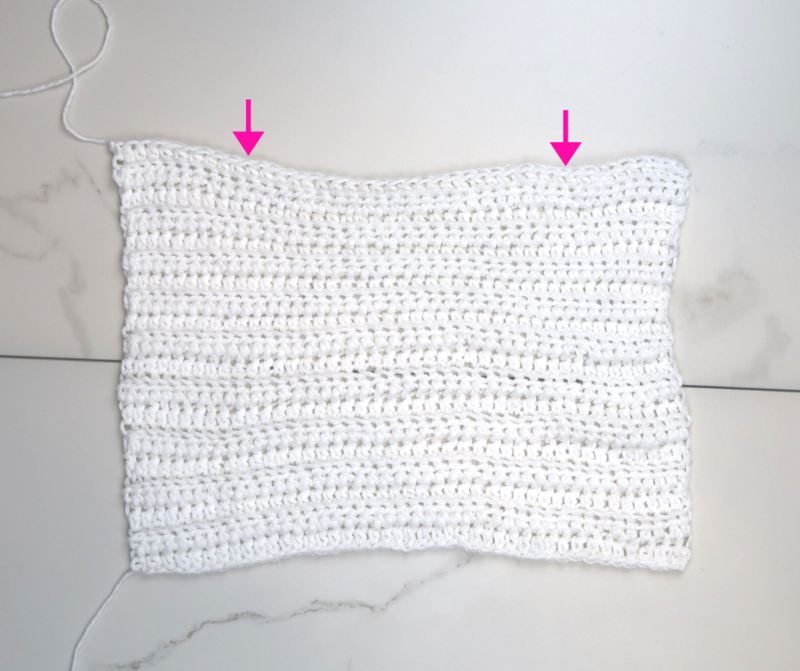 You can also use a yarn needle and seam the sides up with a whip stitch or mattress stitch. Tie on at your last HDC row on the seam. Do a SC row around the entire top edge (the top of the front and back panels that are now seamed together). This just give you one more row with a seamless finish. Once you get back to where you tied on, SS into the first SC. Tie off. On the front panel count 10 St’s in from the seam. Using two strands of yarn (double stranded) and your 9mm hook, Tie onto the 10th st.
CH 20 and tie off. Repeat on other side of front panel. Repeat the same steps above for the back panel except you will only make you 42 CH’s and then tie off. Try on your new top and tie your straps into a bow right in the front at whatever height feels most comfortable to you. You are now the proud owner/maker of your very own Summer Solstice Tank! The best part is that this tank is totally reversible! The ties can be in the front or the back. Your Summer Solstice Tank is complete and now all we are waiting for is the right kind of weather. If you’re from the other side of the world and it is currently summer then you are already good to go! This top is perfect to throw on over your swim suit for a day at the beach. Leave a comment below telling me where you plan to wear your Summer Solstice Tank! I love seeing the stuff you babes make using my patterns so please tag me on your makes on Instagram. If you have any questions, comments, or concerns about this pattern just leave a comment below.